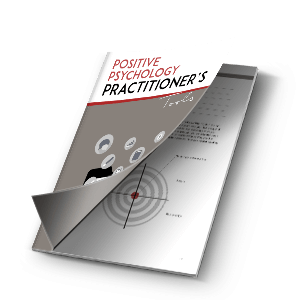 So, you have decided to join us on our mission to create the most extensive and valuable Positive Psychology resource for helping professionals on the web. This is great news and we’re very happy to welcome you to the team. To help you get started off on the right foot, we would like to lay out the basics which will guide your writing process. We will also try to answer any and all questions you may have on this page. Wait, before you start skimming this page! What I want you to know is that we’re looking to create a long-term, win-win collaboration with you. We’re not interested in short-term fixes or publication spurts. We’d rather grow slowly and steadily. One of our main writers, Courtney Ackerman, has been with us for years now. Not only has she been able to earn an income from writing for us, her work has also been read by millions (yes, millions) of people. She wrote and published a book of her own that we’ve promoted to our audience and has made a name for herself in the field through our platform. This is the kind of collaboration that we love. That is what we’re hoping to establish with you as well. Yes, there is. You can read and digitally sign it if you agree to it to get our collaboration started. How much am I expected to write? We’re expecting you to write at least one piece a week. You are always free to write more though. Every Thursday at 17:00 PM Amsterdam time, we check all the articles that have been handed in that week. If you haven’t handed your piece in before that time, we will send you a gentle reminder, unless you’ve notified us beforehand that you’ll hand in your piece before the next Thursday-deadline. Just let us know so that we can update our content planning. Also, please let us know if we can expect you to make the next week’s deadline (every Thursday at 17:00 PM Amsterdam time). Get in touch with us over email. Show us some of the work you’ve done so we can screen it. If it’s a match, we will invite you to jump on a short Skype call so we can virtually meet each other and answer any questions you may have. You will then be asked to read and sign the contract. Upon signing, you will receive the outline for your first article. How and when do I get the outline for the article? Upon signing the contract, we’ll send you an outline for the first article. Upon handing in the article, we’ll send you a new one for your next article. Please let us know by when you expect to hand it in. What is the best example of the kind of writing you’re looking for? Please visit our blog and go through some of the articles to get a sense of what kind of content we’re publishing. Do you have a styleguide? No we don’t. The information on this page should tell you all you need to know. What should my tone of voice be like? Personal, yet professional. There should be no personal anecdotes or writing from the first person perspective unless it’s extremely relevant and appropriate. The writing shouldn’t be too academic and impersonal either. Please remember, this is still a blog and no one likes to read boring academic articles. Our main distinguishing factor is to be science-based without being boring. For examples, please see our blog. You will get paid 4 cents per word in US dollars. We realize that this might incentivize you to write lengthy, wordy pieces of content. We do love extensive and valuable articles, but we do not love wordy and rambling pieces. Our editor will always check whether you’ve made an effort to get the point across without being wordy or repetitive. Please send us a monthly invoice. If you write four articles per month, you can add the word count for all four articles up and send us one invoice for this. Example. Let’s say you have written four articles in one month with the following word counts. Send us an invoice for $883,6 US dollars. Do I include the references in my word count for the invoice? No. Please do the word count for the article you wrote, excluding the references. Alternatively, if none of these options work for you, we can pay you via a freelance platform like Upwork or Freelancer.com. However, these platforms do often take a hefty cut, which means the net amount you’ll receive will be lower. This is completely up to you. But what if I’m not registered as a freelancer? Then we’ll have to pay you via a freelance platform like the ones mentioned above. What input will I receive from you for writing the article? For every article, we will provide you with a topic that includes both the main title (H1) and subheadings (H2 and sometimes even further h2 subheadings). Can I change the headings you provide me with? Please stick to the headings provided. Extensive keyword research has been done on the topic, meaning, this is what people are looking for when they search for this topic. You can add new subheadings if something important has come out of your research that the provided subheadings do not cover. You have the freedom to play with the order of the subheadings to give your piece structure. Some headings may also warrant being grouped together. 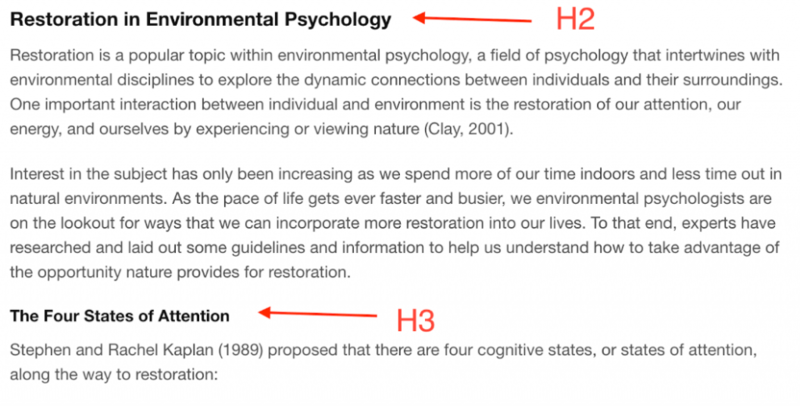 Please submit your article with H2 (subheadings) and H3 (sub-subheading) headings clearly identified. In the provided headings or subheadings, you’ll sometimes see the letter X. This letter X is referring to the number you find/choose in your research. Example: X Quotes on the Here and the Now. Can become: 10 Quotes on the Here and the Now. How long should each article be? We are looking for articles to be written around 5,000 words or more (generally speaking, the more extensive, the better. Again, extensive, not wordy.). Obviously, this will be dependent on the size of the topic we provide. Some broader topics will require more, some smaller ones will require less. The word count range for the articles we publish is between 3500 and 9000 words, so not your average blog post length. The reason for this is that we’re looking to create evergreen resources pages instead of fleeting blog posts. Please make use of APA referencing style. We are a science-based website and thus will only be able to publish your pieces if you substantiate your writing with actual research and cite research in text APA style. Please also include a list of all references used at the end of your piece in APA format. We do not quote entire paragraphs – If you find a great idea that you want to share, please find your own unique way of explaining it. Obviously referencing the original source, then use quotes to substantiate and summarize the point you are making. What kind of sources can I use? We prefer all claims to be backed up by scientific articles. That having said, if you find a relevant article on the APA website, Forbes, PsychologyToday, PsychCentral, or some other credible site, you’re free to build on that as well, but not exclusively. However, looking at your final list of references, it should be predominantly scientific articles that are being referred to. You know the phone call game where a person has to pass a message on to the next person until it, after 10 people have passed it, eventually reaches them again? The message will have changed completely. The same principle holds true when citing scientific sources. We don’t want to cite a source that cites the original source, we want to cite the original source directly. Do I give credit where credit is due? If you are sharing an idea, research finding or opinion from someone else’s work, please credit them with their name and the date of publication and include a hyperlink when possible. Do I write in UK English or US English? Please stick to US English. Yes, your article will be edited and formatted by a professional editor. However, please make sure you have spellchecked your piece before submitting it. Rough drafts or pieces that need heavy editing will not be accepted as articles. Do I include an introduction and conclusion? An introduction and ‘Take Home message’ (conclusion) are a must. Here is an example article to model your intro and conclusion after: link. If possible, please include the keyword of the article in the first or second paragraph of your introduction in a natural way. This shows Google that our article is relevant to that keyword. Who will I be writing for exactly? We have a community of helping professionals (psychologists, counselors, therapists, coaches) and academic readers which means our articles have to be scientifically sound. If you find contradictory research or divided expert opinions, you can present multiple points of view on a matter. As a writer, you don’t have to take a stance or include your own opinions. The reader can make up his or her own mind with the findings you present. Our goal is to remain as objective as possible while also providing as much value as possible. What if I need access to articles, journals, or books? Should you ever need access to scientific articles, journals, or books to substantiate your piece that you are unable to find online, please reach out to us. Our team member, former psychology professor, and Ph.D. Hugo Alberts is like a squirrel prepping for the positive psychology apocalypse and has almost every positive psychology resource imaginable in his digital library. He would be happy to provide you with what you need. Is there anything else I should keep in mind? This will give substance to your pieces and make them more valuable. How do I hand in my article when it’s done? Please send your article over to [email protected] in Word doc format. Please make sure to include your name underneath the article so our editor can select your bio on the website. For every piece that you write for our site, we are asking you to transfer the intellectual property to our organization so that we can guarantee the continuity of our online platform. In order to transfer the rights, we will ask you to digitally sign a simple agreement for the pieces written in a certain period. You will receive an email about this for every 4 pieces you write, or once per quarter. Signing the agreement is a simple process that should take no more than 30 seconds, no printing or scanning required. Needless to say, you will always be credited as the author of your work. We’re on a passionate mission to provide a high-quality, science-based, one-stop resource of mental health information, knowledge and tools for practitioners and helping professionals. Again, we’re so excited that you’re joining us on this mission and want you to know that thousands of psychologists and coaches are reaching out to us monthly to thank us for our efforts. And now, your efforts. We can’t wait to read your work and start a fruitful, long-term collaboration with you!